There are some sweet things going on elsewhere. Having gotten a toe in the door with O’Hara regarding his desire to help out with her pregnancy, Coop is now trying to wedge his whole thigh in there, and doing a lot better than might be expected. O’Hara even lets him tag along for her Ultrasound. (“We’re both doctors,” Coop tells the woman conducting the procedure, “so it’s like the doctor’s already here.”) Having convinced me that Coop is both a load and a fundamentally decent guy with some love coming to him, it’s heartening that the show is finally allowing its characters to come around to this view. But the zenith of sweetness is, as one might expect, the scene with Zoe telling Jackie that she thinks she should move out for the sake of their relationship—“I think you’re a private person. And I think if I’m here and I see things you’re not used to people seeing, you’re gonna like me less. You won’t mean for it to happen, but it will”—and Jackie asking her to stay, to help keep her from backsliding. The show is threatening to thin out into melodrama as this season winds down, but if these characters can continue to show unexpected sides of themselves, it may be able to avoid that fate. Coop at the Ultrasound: “He looks like an old man with a beautiful mouth!” He also tells O’Hara that the baby looks like her, which is enough to get her to stop averting her eyes from the screen. “I do not look like that!” she gasps. “A little,” shrugs Coop. Thor: “When I was diagnosed with Type 1, I was all cry-abetes.” Say what you like, that’s better than anything that the ad companies competing for the diabetes-awareness campaign on The Pitch came up with. 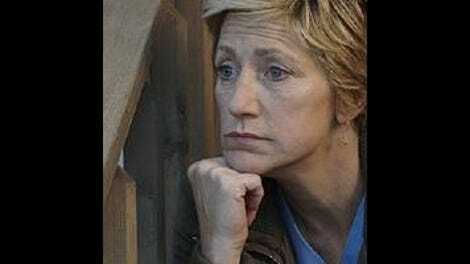 Nurse Jackie: "...Deaf Blind Tumor Pee-Test..."